Investors don’t fully appreciate the Federal Reserve’s “enormous shift” away from hiking rates — meaning the market could be poised for further gains, even with risks mounting, JPMorgan analyst Marko Kolanovic said on Thursday. In its decision on Wednesday, the Fed bowed to the global slowdown by making it clear that interest rates would likely be on hold for the remainder of 2019, and that it would curtail its efforts to pare down its nearly $4 trillion balance sheet. 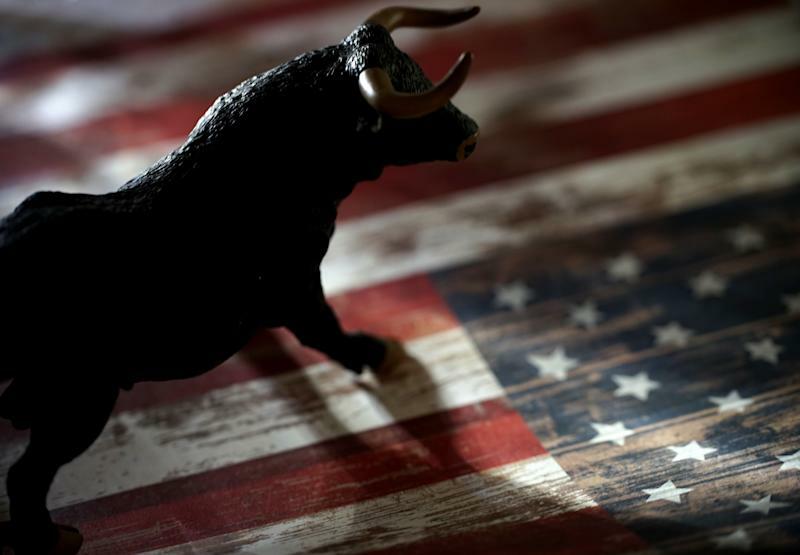 The move initially spooked markets, with the Dow Jones Industrial Average (^DJI), S&P 500 Index (^GSPC) and Nasdaq Composite (^IXIC) all falling in knee-jerk fashion before staging a strong rebound in Thursday’s trading. And Kolanovic believes the rally could stretch higher, given the central bank’s decidedly dovish tone, notably in the face of growing risks including the U.S.-China trade war and the U.K.’s tortured efforts to extricate itself from the European Union. “This is an enormous shift in monetary policy, which we believe is not fully priced into various assets such as risk-on currencies, and equities, commodities, and other value assets,” he said in a research note to clients on Thursday. “After this week’s Fed meeting, it is clear that the dovish turn is here to stay, and this should be a sustained tailwind for risky assets,” he wrote. JPMorgan's Marko Kolanovic is bullish on stocks. He acknowledged there was “a lot of fear” baked into current prices, leading to investors having cut their exposure to stocks. Yet those concerns, which include high stock valuations and quarterly rebalancing, “are either not well understood or blown out of proportion by market commentators,” he said. Ongoing negotiations between the U.S. and China – the world’s two largest economies – are admittedly “the biggest risk” to the rally, Kolanovic added. In that regard, his baseline scenario is that a deal will be struck — if for no reason other than President Donald Trump wanting to avoid a potential stock selloff and a recession. “While Trump does want to get U.S. equity markets higher and avoid a recession going into elections next year, we worry about the administration’s ability to control some of its anti-trade impulses,” the analysts wrote.